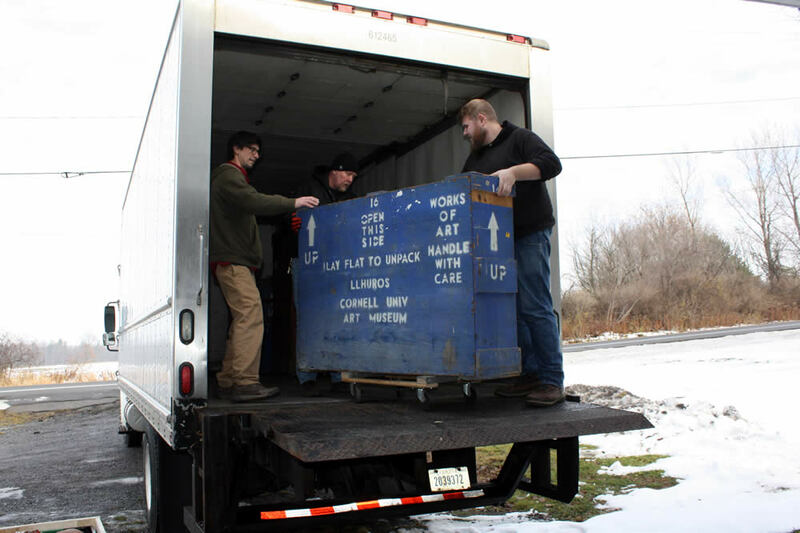 Ithaca—On the day before Thanksgiving 2016, very large and heavy crates of artifacts housed in a garage outside of Ithaca for four decades, were transported to a climate controlled storage facility to join a number of smaller crates. Some of these large crates packed in Cologne in the early ’70s, have not been opened since their shipment back to the US. We hope to open the crates and photograph the larger pieces sometime in 2019.